Did an employee just leave for vacation and forget to do something? 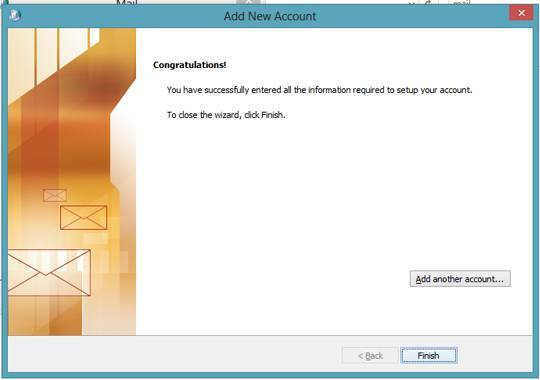 Below the instructions will show you how to add an out of office message in Outlook for a mailbox you don’t have the login/password for. Also referred to as Automatic Replies (Out of Office). Please note this does assume you have “Full Access Permission” to the other user’s mailbox. 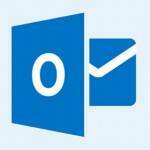 The following will work for Microsoft Outlook 2007, 2010, 2013 as well as Exchange 2007, 2010, and 2013. 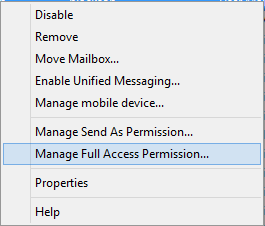 Right click on the mailbox of the user you are wanting to add the out of office message to and click on “Manage Full Access Permission.” Then add yourself to their mailbox. 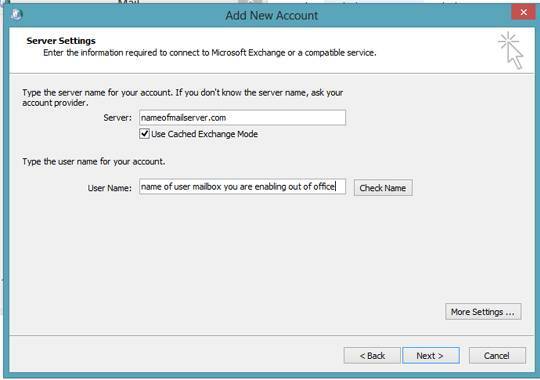 Note, if you are running Exchange 2010 or Exchange 2013 you can open the other user’s mailbox from within OWA. No need to proceed with the rest of the steps below. In the search box on the top right, search for “mail” and then click on the Mail (32-bit) Icon. Click on Add and name your profile. 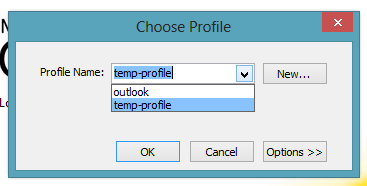 In my example I am naming it “temp-profile” because after we are done adding the out of office message, we can delete the profile. 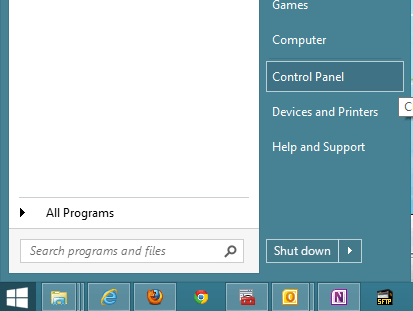 After naming it click OK. 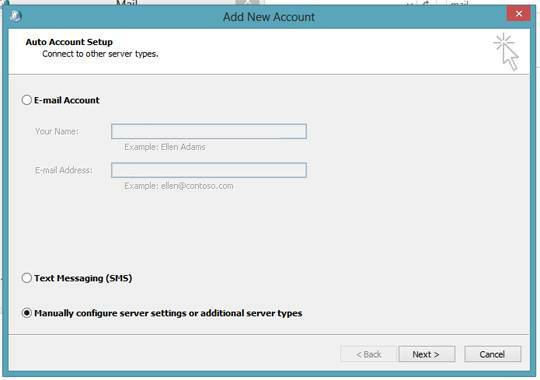 Select “Manually configure server settings or additional server types.” Depending on your version of Outlook the wording will vary a little here. 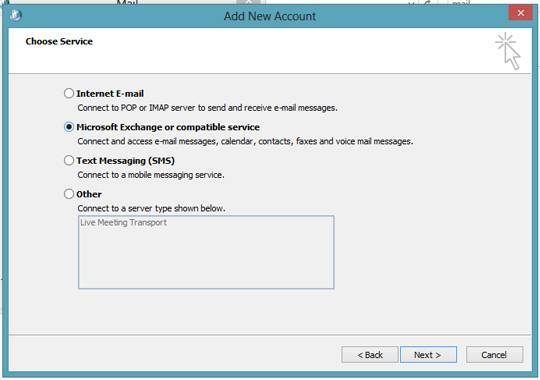 Now enter the name of your mail server and then the name of the mailbox for which you are wanting to add the out of office message to. 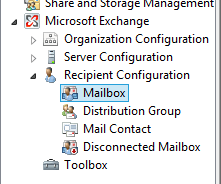 Select “Prompt for a profile to be used” under the Mail options in the control panel. Now launch Microsoft Outlook and it will prompt you to choose a profile. Choose the profile you just created. In Outlook, go up to File and click on Automatic Replies (Out of Office). Now simply add the message you want, click OK and your done! 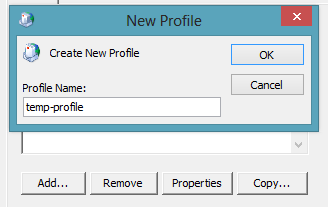 You can then remove that temporary profile. Thanks Martin. This was really written with Exchange 2007 in mind. I will add that into the post for Exchange 2010 and 2013. Forgot about that feature 🙂 Been working in 2007 too long. The posted has now been updated with note about that after the step of adding full access permission.